The Twin Spires White Tires are light weight, protected, fast urban folding tires. It weighs only 320g and has 60tpi, threads per inch. This tire uses ProTite material breaker for high puncture resistance. These tires are the ones fitted on the single-speed bike Speed ONE Launch Edition. 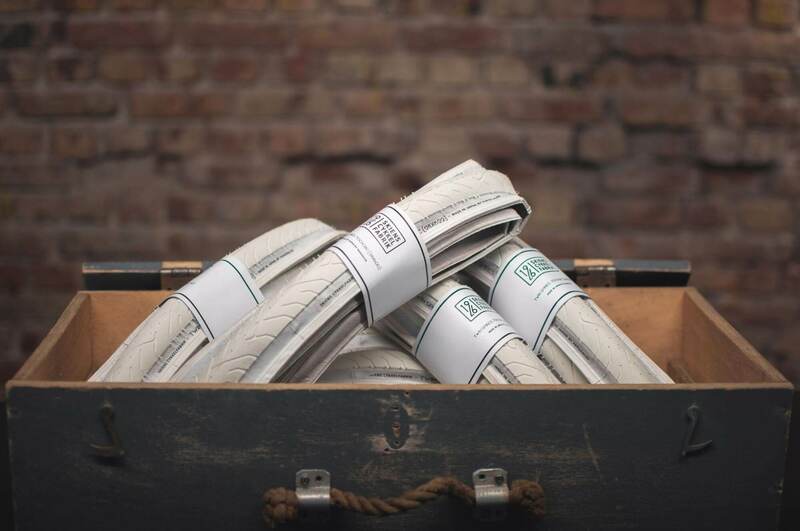 The 700c white tires are custom made by Panaracer for Skiens Cykkelfabrik. To ride tastefully with high quality white rubber tires we created these tires together with Panaracers. Read the story of the bispoke 700c white tire.